The more information you can provide your clients about their taxes, the more they will look to you as their trusted tax advisor. 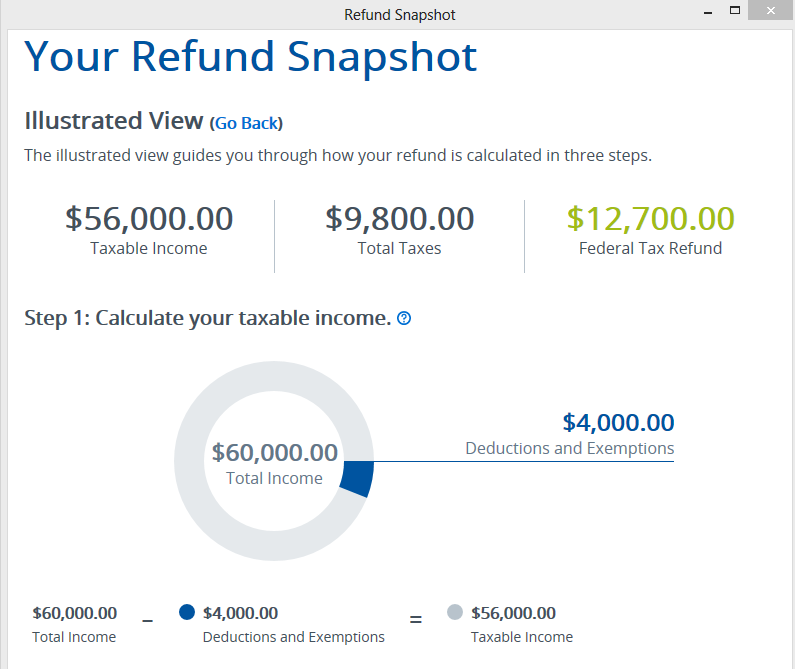 With the TaxAct® Refund Snapshot you can help clients understand what determines their tax refund quickly and conveniently. 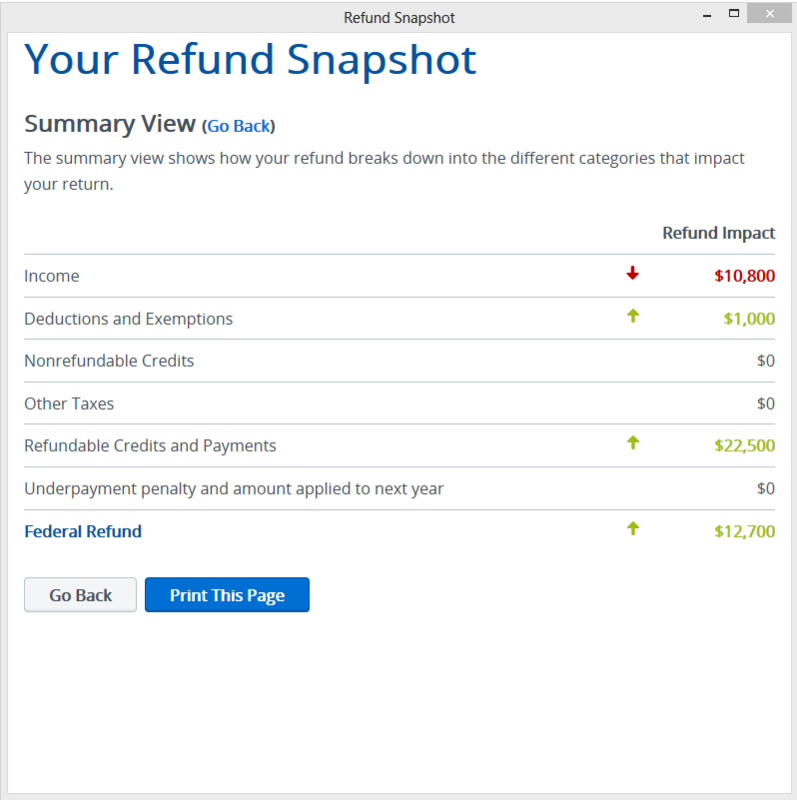 Refund Snapshot provides details about what positively or negatively impacts your clients' returns, whether they are getting refunds or owing taxes. Let's take a look. 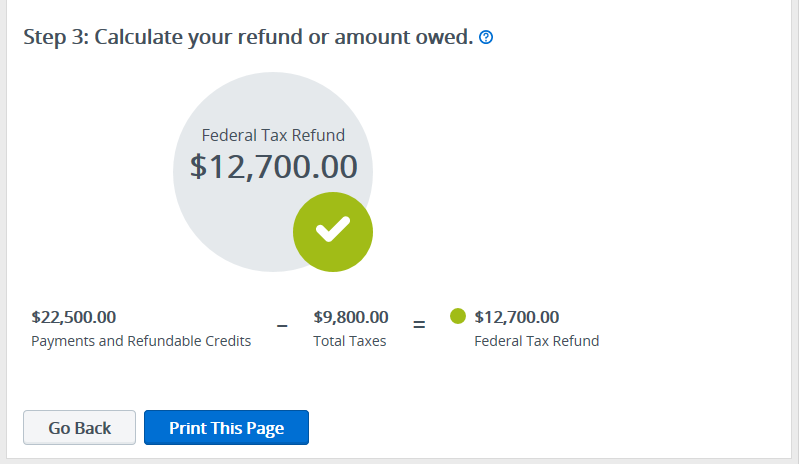 To access Refund Snapshot, simply click on "Federal Refund" in the top right corner when in a client's return. 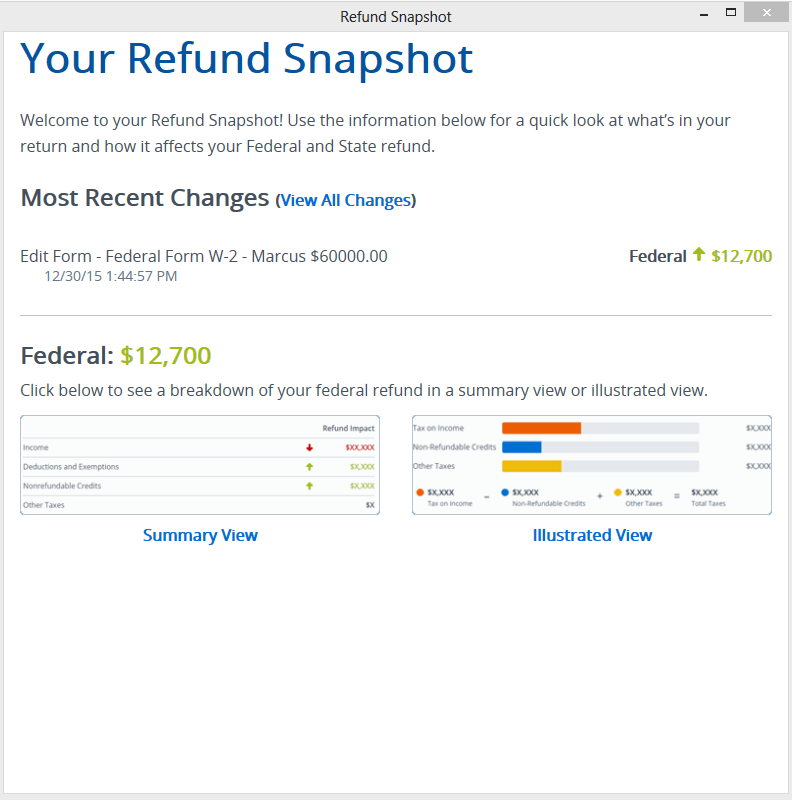 This opens the summary page of Refund Snapshot, which displays total income, deduction, credit and tax amounts and how each amount impacts the client's refund amount. In the example below, the most recent change impacting the refund is income information from the W-2. This information had a positive impact on the refund, in the amount of $12,700. Click the Summary View for a detailed list of the different categories that impacted the client's refund. You can see how income negatively impacted the refund, but the deductions/exemptions and the refundable credits/payments had positive impacts, causing the total refund to be $12,700. Note: For your convenience, the Summary View printed pages will NOT include any TaxAct branding so you can easily provide copies to your clients. Once you've reviewed the Summary View, click "Go Back" to access the Illustrated View of Refund Snapshot. Each section illustrates exactly how the amounts were calculated. This view can also be printed and shared with your client. Note: For your convenience, the Illustrated View printed pages will NOT include any TaxAct branding so you can easily provide copies to your clients. Refund Snapshot is just one more resource TaxAct offers to help you deliver excellent service to your clients. Consider reviewing this information with your clients in person when delivering copies of their tax return or even after tax season as part of a meeting to advise them on their 2017 taxes.